Nintendo has shared its Nine Months Earnings Release for the financial year ending March 2019, giving us plenty of insight into how the company is performing in terms of sales across all consoles and other forms of income. Perhaps the most interesting news to come of the financial report is the fact that Nintendo has decided to slash its well-documented sales target of 20 million Switch units this year, now aiming for a slightly more modest 17 million. The report states that the updated target has been issued "based on sales status for the nine months ended December 31, 2018, as well as our future outlook". That's not to say that Nintendo has had a bad year, though; the Switch shipped almost half of the company's initial yearly target in the holiday quarter alone - 9.42 million units, to be exact - and is fast approaching the 15 million mark for the year ending March 2019 (up from 12 million during the same period the year before and reaching 32 million in total). In terms of software, things are even more impressive, with new releases Super Mario Party, Pokémon: Let's Go, and especially Super Smash Bros. Ultimate all getting off to flying starts. Elsewhere, Nintendo has also cut its 3DS hardware sales prediction for the year, falling from 4m to 2.6m, but has increased its Switch software sales estimates from 100m to 110m. One final interesting tidbit shows that, during the holiday quarter, the Switch accounted for 90% of Nintendo's overall revenue, vastly outperforming Nintendo's 3DS and smartphone efforts. Big story during the holiday quarter for Nintendo was the Switch itself, accounting for 90% of overall revenue. Did you think Nintendo would manage to reach its 20 million target? Are you surprised by the success of Nintendo's holiday season? Share your thoughts with us in the comments. Well, 20 million seemed a lot from the start but if they still manage to sell 17 million, that is not bad at all. It will be bad from the investors perspective but it's a huge number regardless what they think. The target was too high but fair play Nintendo gave it a good go. Hopefully a direct will fill us in on what’s in store this year soon. Let's hope Nintendo starts to move first party focus away for 3ds now. Looks like it might not be worth the investment! They upped their software expectations from 100m units to 110m units. At the beginning of the fiscal year people thought that 100m was too optimistic. Never thought they'd reach 20m, just seemed like a nice round number, but I thought they needed to hit at least 18.5m to keep investors happy. Only hitting 17m isn't horrible but it's something they should have known 3 months ago when they kept it at 20m. Nintendo are still doomed though,it's they are now slightly less doomed than they were before. My body is beyond ready for a Direct. Nice to see Pokemon let's go do so well,even more so when the forum posting and internet/YouTube expert minorities said the games would bomb. I hate to be a port-enthusiast on this site, but now the 3DS is pretty much done, can we start getting ports asap? Lots and lots of ports. @JamesR This isn’t about how great the Switch is doing. This is an investor issue. If you say you will sell 20 million and end up selling 19.5 million, you missed your sales forecast. And in investors eyes, you failed to accurately predict your business. Stocks are a weird thing, and you can lose stock price by even just merely meeting your sales target. If it had a big game between Smash and the end of the fiscal year, it could reach that number. Still, impressive and a job very well done! Most consoles sell better in their 2nd year on the market so I don't think Nintendo were being overly optimistic. If they'd had 1 or 2 big titles earlier in the year they probably could have reached 20 million. It just shows that Switch's 2018 Q1-Q2 exclusives, Kirby Star Allies and Mario Tennis Aces, both underperformed. Pokémon Let's Go and Super Smash Bros. Ultimate sort of "saved" the year for Switch. 2019 will be a better year, with a more consistent schedule of releases. Although Travis Strikes Again wasn't the greatest start to the year. Amazing though that the Earnings Return shows that the Switch has sold 32.27 million units worldwide – very impressive in two years on the market. Crazy that the holiday hardware sales alone was 14.49 million units! Not surprised Nintendo probably won’t meet the projected 20 million sales, now revised down to 17 million – there simply wasn’t enough software released outside of the holiday period. Hopefully, they will learn to have more frequent and more staggered releases across the year. One reason might be the delays, if yoshi and fire Emblem would have released january/February, Nintendo would have had an easier time achieving that goal. Now we have a lackluster q1. On a more serious note, it's a shame Nintendo had to be so quiet in Q4 (January - March), a Direct really is needed with nothing happening until the 29th March. @WOLF13 well, yes and no. No forecast is ever 100% accurate - and investors know this. Missing a forecast by low-balling is also a miss (Nintendo mispredicted Switch sales last year by a very wide margin and have needed to revise their software units upwards with this update). Nintendo have stated that their full year revenue and profit guidelines have not been revised. I think Nintendo have been very open with their targets and communicating to the investor community. I know thinks there's any serious question to answer when you revise down your unit sale projections when you are 75% through the year. Not sure if I posted it on here or not but I have been very vocal with friends saying that if Nintendo is to sell 20mil this fiscal year they need to sell 12mil in Q3. Considering that they sold 9mil and bumped estimates down by 3mil I gotta say I am impressed with my prediction. As for the switch being 90% of Nintendo’s revenue is very encouraging. Guarantees Nintendo won’t move away from the console business in the near future... not that I thought they would, but this reinforces that point. The target was a bit too high in the first place anyway. That 20 million figure was always wildly optimistic. Made a rod for their own back there and now it might mask hugely impressive sales. 32 million sales in 22 months is incredible, especially as it represents such a turnaround for Nintendo. Switch sold more than the Wii U’s lifetime sales in the last nine months alone. It’s also impressive compared to the biggest sellers ever. PS4 had shipped 29.3 million by September 2015. PS2 has shipped 28.68 million at end of March 2002. 3DS was at 31.09 million at the end of March 2013. @jockmahon have they? I missed that when I skimmed the report this morning. OK - that's good (because they are making money) and bad (because they are not great at forecasting). Anyway - I think most people just want the Switch to be a viable platform so that we can enjoy great games for years to come. With today's news, the Switch has had 2 successful holiday seasons with this year being better than last. This should remove any doubts around the system being a success. @johnvboy only 32 million sold. Doomed. It’s going to overtake the xbox worldwide in a short space of time though. @frabbit nothing wrong with ports. As you can see the best selling game on the Switch is a port and half the Switch's userbase has bought the game. And with NSMBU DX and others showing there is a market for Wii U ports on the Switch especially for those that never owned a Wii U or didn't purchase the game the first time around. The more the merrier. What good is a prediction if you can just back out when it looks to be wrong? @electrolite77 Thanks for all the numbers. Besides crushing Wii U sales in 1 year Switch also crushed the GameCube's lifetime sales of 22m and is now basically tied with the N64's lifetime sales of 32-33m. Despite all it's popularity Nintendo's home console sales have never been all that great outside of the $249 Wii Sports bundle. Switch will almost certainly pass NES and SNES in the next few years as well. Somebody else can do handheld sales, then average out each generations home & handheld since Switch is both and neither, then take price into account of the various systems to figure out dollar amounts. Regardless of comparisons and the blown 20m prediction Switch at $300 I'd say is a bona-fide success. Cue all the people saying how this is a sign that the Switch is already over with and it is all down hill from here. @Balta666 I agree with you that clickbaiters made it out to be something it wasn’t. That said, I am really pleased that Switch makes up 90% of Nintendo’s revenue. This means, despite what the company may say in public, they are basically totally dependent on Switch and will have to be Switch-focused going forward. I am also really pleased that the classic systems had such sales – also interesting that Nintendo hasn’t published the revenue figures for Switch Online which I assume means they are still dire. My guess would be that the sales of the physical classic systems are probably seven or eight times larger than the revenue from the online service at this point. While I don’t think they will give up on the Online service, I am hopeful that this will encourage Nintendo to up their game and expand the amount of systems available on the service and perhaps have a multi-tiered price service. I would honestly be willing to pay a lot more if they would simply give us N64 and Gamecube games. @Heavyarms55 The only thing that's going downhill is how shareholders and investors have ruined the climate of gaming, pushing companies to continuously grow beyond their growth capacity and produce sales they can't achieve, which has led most AAA games to be infested with scummy microtransactions. I'd love nothing more than for this type greed to die out in the industry, because I want to go back to a time where games were quality products. That's inaccurate. Last FY accounted for 15 millions Switch sold. So they've matched this result in just 9 months. Last year they sold 2,9 million Switch units in Q4, so they should have little to no problems to reach the same goal in this Q4, and since they are at 14,5 millions until December 31th, this means they'll reach 17,5 millions by the end of the FY (probably 18). If only they have a big first party software lineup for the first quarter, then 20 million would have been attainable. But with New Super Mario Bros U Deluxe as anchor, they do not what might be described as system sellers like Pokemon and Super Smash Bros did for l them in the quarter just past. Keep in mind when they announced the 20 million thing they probably expected Yoshi earlier in the year, and they might have been expecting Fire Emblem to come this year too. There also might have been a few other games that ended up getting delayed that they hadn't told us about. Either way it's only two years in and it's already one of their best selling consoles. Either Nintendo is delusional or they were deluding their shareholders. 17 million is nothing to laugh about. All together will make a good install base. Probably were counting on LABO being a hit, and Yoshi being out sooner..just shows how important big exciting games are. That's what you get for treating the first 6 months of the year as dead months. I'm fine with nsmb dx but they made a mistake relying on it to move units. the game sold relatively well from what I read, they should've had a great 1st party title ready for q1 2019. please don't say yoshi's crafted world. So they knew their predictions will failed them, still why not do something about it (like I don't know releasing more games for Switch between now and March, ports of Wind Waker HD, Eternal Darkness, and Pikmin 1, 2, & 3 for Switch would be nice) instead of changing it? 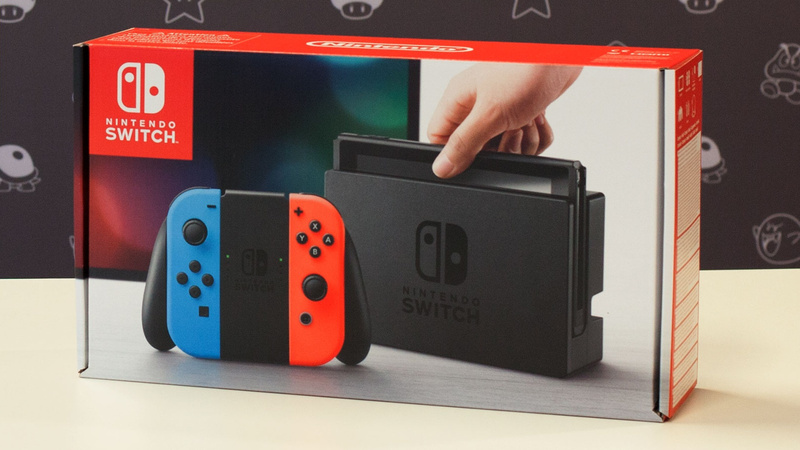 The predicte only about 2 million Switch to be sold this quarter? It's interesting that the math in the article and the math in the comments section are quite a bit different (to the tune of 5-6 million units). Nintendo went from being super risky with their forecasts to being super safe lol. I find it hard to believe that Switch hardware shipments will decrease YoY given the sales from Japan and parts of Europe that have been made public. It is literally impossible for Switch software shipments to decrease YoY. The Switch's 2018 holiday titles + evergreens alone will carry them to higher software numbers, and that's ignoring NSMBU DX and Yoshi's Crafted World. What this tells me is that Nintendo absolutely cannot fumble away the Switch success ala Wii. All eggs are in one basket now (90% of all revenue?! ), unlike Wii days when DS was the true bread winner. If I'm Nintendo I'm slightly concerned about the smartphone venture. Not really paying off and DeNA doesn't seem like a really solid partnership. @techdude "If only Nintendo could have another 2017-like year, where Breath of the Wild, followed by Mario Kart, then Odyssey, then Nintendo will be facing shortages of consoles, not cutting forecast..."
Yeah, there was no way that was going to be sustainable. Something that is very baffling to me is that, despite consolidating their in house dev teams, the gaps in 1st party content seem to still be an issue. They can only port over so many Wii U titles. Oh bohoo NintenDoomed famdom didn't win. lmao better luck next time and don't let the door hit you on your way out. Well they'll end up close, but still a shame they won't keep investors happy. Eh, these things happen. If they had another big game this year during the summer or spring last year, maybe they would have hit the target. Smash definitely over-performed for them, but it just wasn't enough to get them to 20 million. They put too much faith in Pokemon Let’s Go to move units and underestimated Smash’s moving power. Do you think the plan is so that if they hit 18 it can be ‘hey we went well past our second target. Go us!’ or something long them lines? I'm pretty sure that even with a solid holiday season, Ninty's stocks will take a slight hit due to this news. Investors are unfortunately very fickle creatures. Nintendo is guaranteed to exceed their revised software forecast. There is no way Switch software sales are going to decline YoY. Missing the 20 million isn't the biggest deal as this year will still see a healthy increase over last years sales. More importantly, this puts the Switch just behind the N64 and it dhould pass that within the next quarter (if it hasn't already). Also, can we stop pretending that any release schedule this quarter would make the 20 million obtainable. They would need to sell over 5 million systems which would be a highly unrealistic shift in momentum for the January-march time span. Amazing – here comes the usual idiotism. According to NintendoSoup, Asymmetric Advisors, an investment financial group, are already saying the Switch’s second year is a “huge failure”. Give me a break! So, a system selling roughly the same of amount units in the second year as in the first is apparently a failure even though the system sold better than its competitors this holiday season? These analysts seriously need to get some perspective as they obviously can’t decipher sales numbers. Have to say I am not impressed with new Nintendo CEO Furukawa who apparently said, “I’m not sure why it (Nintendo Switch) is not shipping, but we will look back at what happened”. Seriously? Why not just say that the 20 million target was ambitious and the company has just adjusted it accordingly and emphasise that 17 million is nonetheless an impressive target. 2) Furakawa absolutely has to say that. They’ve fallen short of target. They have to be looking at why. Yeah I think 17 is too low. Even without anything new the library is so much stronger than same quarter last year. @electrolite77 Totally agree that we shouldn't trust analysts as they tend to be all over the place with their predictions. I take your point that Nintendo need to analyse why they failed to hit their own fiscal target. My guess? I think Super Smash Bros was supposed to launch in September, alongside the Online Service, but got delayed. Three extra months of sales would have made a big impact on the number of units shifted. They probably would have hit 17m units by now if SSBU had launched earlier in the late fiscal quarter. Yeah that would make sense about Smash. IMO August/September was the big gap. Thinking about it, delays may be the whole issue. If they’d had Smash in September, then Fire Emblem in December and Yoshi in February to help with Q4 (or even FE and Yoshi in Q4 with NSMBUDX in December) they may have achieved that crazy target. I think they will discontinue the 3ds when the switch mini is ready for announcement. Agreed. I think for it to have been achievable they needed to be at 17 million plus for the year. They didn’t do enough in Q2. @electrolite77 Absolutely agree. Your point about Labo is really interesting. I think you are right that Nintendo made a huge mistake by thinking Labo would do way better than it actually did. Total guesswork of course. They just seemed really proud of it and presumably hoped it would hit a different market. The price of the system hindered the chances of that anyway. @electrolite77 I definitely think you are right on that one as evidenced by Labo underselling the shipped units provided in each territory. As I recall, retailers were quick to heavily discount Labo in the weeks immediately after the launch. @electrolite77 Still, hitting the goal or not, around 35 million in a little over 2 years is phenomenal. It's so refreshing to talk about Nintendo to general people and hear "Oh the Switch, I've heard that's a pretty cool system," instead of "The Wii U? What's that?" This is really the best time for Nintendo to cut it's estimate, anytime before now may have hurt their holiday sales. And while it may cause their stocks to drop now by the start of the new fiscal year more people will notice that Nintendo outperformed their estimates, than those who remember Nintendo cut it's estimate. Oh without a doubt. It’s an amazing turnaround. I posted the numbers elsewhere but it’s tracking ahead of PS4, 3DS, PS2 and every Xbox at the same time on the market. @electrolite77 Those are certainly good consoles to be ahead of. Also, as a side note, I always appreciate your usage of actual numbers to back up your points. @electrolite77 They stuck firmly to their targets all 2018, and only now decreased the forecast. If what you said was true they would have decreased estimates a while ago. They may have, but I don't recall them doing so. Yeah, 20 million seemed like "whoa! ", but even 17 million is still impressive. What's surprising is the 3ds is 4% of the Q3 sales....I didn't think it was that low. Umm... is there something I’m not seeing here? IGN is reporting that Nintendo sold 32 million switch. @fafonio The 17 million (was 20) prediction is for system sales of this fiscal year (April 2018 through March 2019). The 32 million is lifetime sales so far. No they didn’t, but by the October earnings release when it was apparent they were below the line they needed to be at, there was no chance they were dropping the forecast. That could have damaged momentum for the biggest couple of months of the year. Momentum is everything selling a Games system. Realistically, the late year trip of Smash (12 million), Pokemon (10m) and Mario Party couldn’t have done much more to shift hardware. The issue was elsewhere in the year IMO. I can’t recall how quickly Labo was discounted but I know the variety pack made it all the way down to £19.95 at one U.K. retailer before Christmas. That’s not a good sign. It is good to see Nintendo succeed. @Yoshi87 Those analysts are under the delusion that video game consoles and smartphones are the same thing. Meanwhile 18 million PS4’s sold in 2018. Typical strategy. Now, they can beat the 17 million and go back to the investors and say, "Gosh! We BEAT our goal!"